When the cold weather hits, outdoor work like gardening can become even more challenging than it already is. The Cutter Goatskin Leather Original Thermal Gloves CW200 feature a thermal fleece lining to improve your grip and dexterity in tough conditions. Designed with padded palms, the gloves offer protection where you need it most for tasks like wood handling and planting. 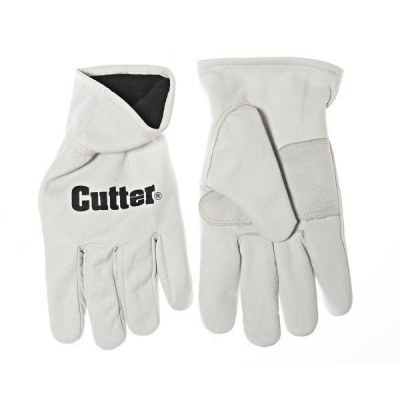 The Cutter Original Thermal Gloves are available in four sizes to fit most hands. Please measure the circumference of your hand around the knuckles (excluding your thumb) with your palm open and your fingers together. Next, measure the length of your hand from the tip of your middle finger to your wrist.